100% Natural waxes enriched with beeswax with 100% cotton wick. 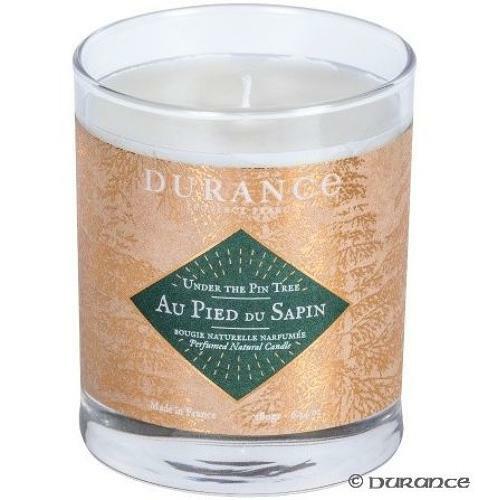 Perfectly encapsulates the smell of an old fashioned needle drop christmas tree. 40 Hours average burning time. Light and burn the candle for a minimum of 1 hour away from draughts to ensure scent is dispersed and the surface to melt thereby allowing an even burn all the way down. Warning: Keep the naked flame away from combustible and flammable materials (such as curtains, fabrics, furniture and clothing). Do not place on a hot surface or a surface that can absorb heat. Never leave a lit candle unattended. Do not move a lit candle or when the wax is liquified. Never burn candles near a wall, in draughts or near a radiator.